Here at Bluebay Technical Services, we are able to delve deep into the background of electrical processing with our custom software design solutions. Being a software development company is a big part of our business, and we would be happy to provide you with our knowledge and experience in this area. We provide bespoke software solutions and have worked with a wide range of PLCs (Programmable Logic Controllers). Examples include Siemans, Aland Bradley, Omron, and more. Put simply, PLCs are industrial digital computers that have been ruggedized and adapted in order to control manufacturing processes. 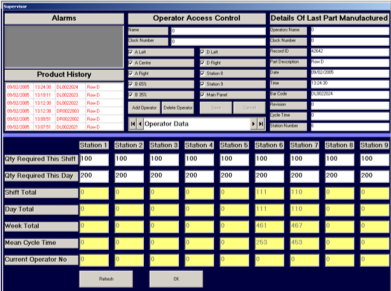 We can write bespoke software programmes for the simplest operations to the most complex production machinery controls. As capable robot programmers, we can offer our software design services for a variety of robot types and applications. Based in Warrington, we work within and outside the local area to provide our software design services. Feel free to get in touch with us today on 07941 662 418 or via our online contact form. We will start by going through an initial consultation with you to see how we can best help you with your software design needs.